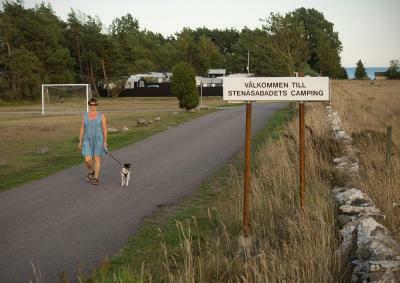 Lock in a great price for Stenåsabadets Camping & Cottages – rated 8.3 by recent guests! Plenty of plates and utensils. Very courteous management. Le Stugor était parfait ! Très propre, très bien équipé. Calme absolu. En fantastisk plats för fågelskådare. Fåglarna finns alldeles inpå, vid vattnet, på ängarna och inne på campingen. I byn Stenåsa ligger dessutom Naturbokhandeln. 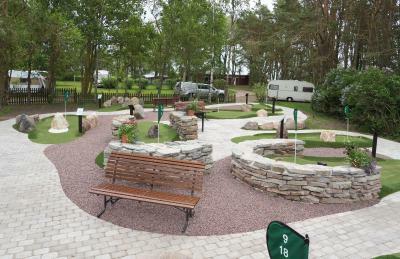 Stenåsabadets Camping & Cottages This rating is a reflection of how the property compares to the industry standard when it comes to price, facilities and services available. It's based on a self-evaluation by the property. Use this rating to help choose your stay! This property is within the UNESCO-listed Stora Alvaret limestone plain. Its cottages include patios, kitchen facilities, plus a TV and DVD player. The Baltic Sea shore is 350 feet away. All accommodations options at Stenåsabadets Camping & Cottages feature tea/coffee facilities, a refrigerator and electric cooker. A shared laundry room is also available. Leisure options include a rentable sauna, a minigolf course and a children’s playground. Guests can also borrow boules equipment or rent bicycles. During summer, there is a barbecue grill area and a licensed cafe offering light dishes. Stenåsabadets Camping’s on-site shop sells snacks and groceries. Alby village is a 7-minute drive away. The city of Kalmar is 28 mi from the property. This property also has one of the top-rated locations in Södra Kvinneby! Guests are happier about it compared to other properties in the area. This property is also rated for the best value in Södra Kvinneby! Guests are getting more for their money when compared to other properties in this city. When would you like to stay at Stenåsabadets Camping & Cottages? This holiday home comes with 1 double bed and 2 bunk beds. WiFi is available in the hotel rooms and charges apply. House Rules Stenåsabadets Camping & Cottages takes special requests – add in the next step! Free! All children under 10 years stay free of charge when using existing beds. Stenåsabadets Camping &amp; Cottages accepts these cards and reserves the right to temporarily hold an amount prior to arrival. Stenåsabadets Camping & Cottages accepts these cards and reserves the right to temporarily hold an amount prior to arrival. Please note that bed linen and towels are not included. Guests can rent them on site or bring their own. Final cleaning is not included. Guests can clean before departure or pay an additional fee. After booking, guests will receive an invoice from the property. Full payment must be made at least 30 days before arrival. Too small for our family of 5.